and I've been looking for a crafty outlet that doesn't require leaving my chair. 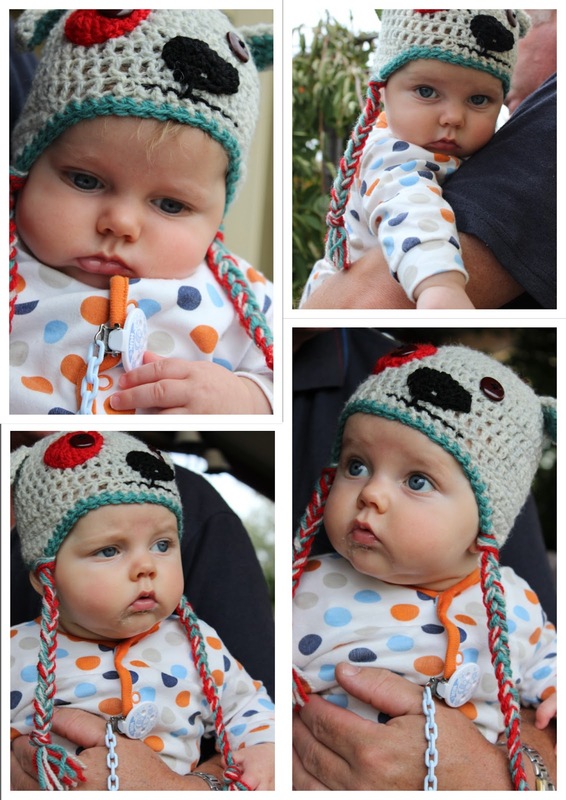 I chose to make Brayden a puppy hat.... its from a wonderful pattern found here. "Repeat crafter me" is such a generous site....with easy to follow patterns...tutorials and links. 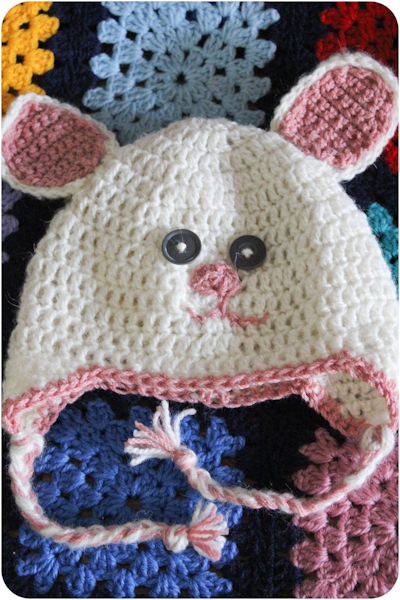 Then while my hooks were warm.....I made a Bunny hat for Brookey . ....and seeing as bunnies seem to be her favourite thing lately...she loved it. 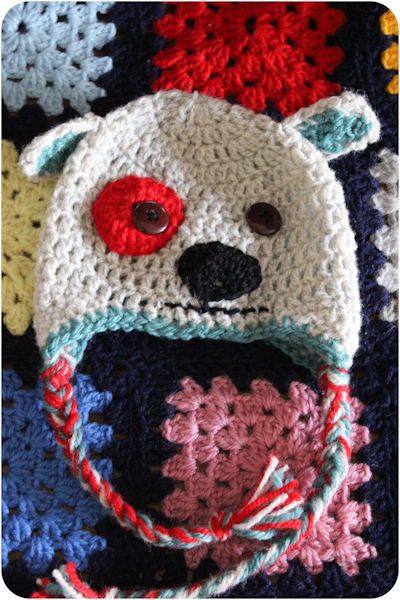 How exciting Dee....I am so very keen to see the finished product too... they are really easy....and very cute! They are super cute Hey!! 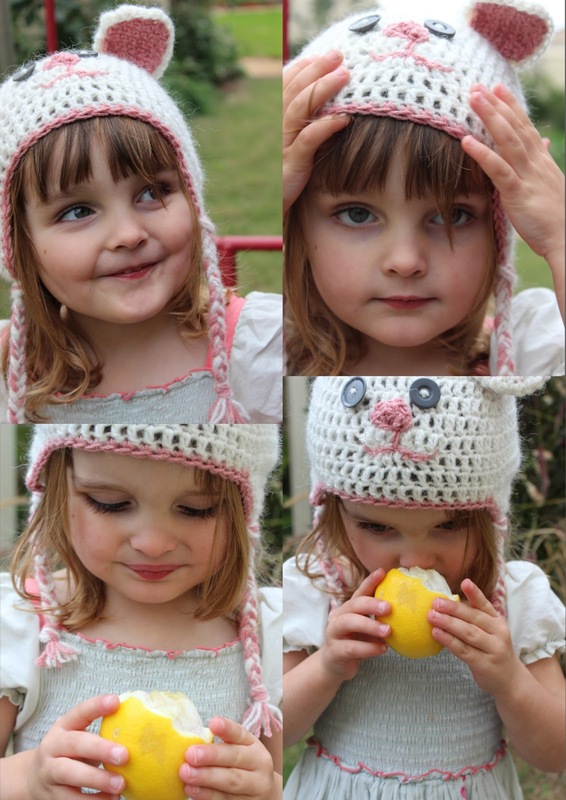 Your beautiful girls would look so adorable in them...and there is a cute owl pattern too. They are a beautifully written pattern... very clear and easy...(a credit to the generous pattern author)... so I hope you wont have trouble reading it....shoot me an email if you are stuck! oh and yes....Brayden is lucky to have any cheeks left...I could eat him up! They are so gorgeous Mardi, great job!! They are both so cute! 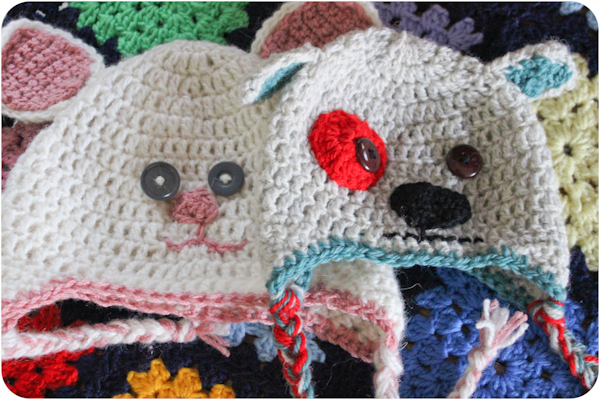 And the hats are adorable, I have that puppy one on my rav cue so need to make it! They are such lovely little projects to have on the go....easy to pick up and put down....and quick to finish ...perfect! they are gorgeous Mardi:) Im crochetting as well, is that even a word? haha if you google granny ripple blanket you will see what im making. Oh I'd love to see Brent in one!! They are adorable.